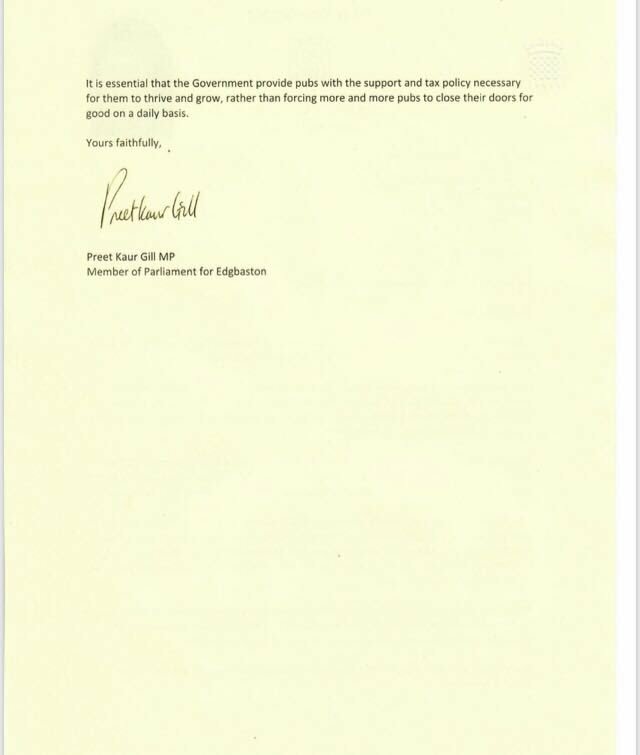 Preet Kaur Gill MP has put her support behind a new campaign calling on the Government to cut beer duty in order to help protect local pubs from closing. As well as being an iconic part of our society, pubs contribute greatly to the UK economy to the tune of £20 million every year, and supporting 900,000 jobs. The increasing tax pressures on pubs result in three closing their doors for good, every day. 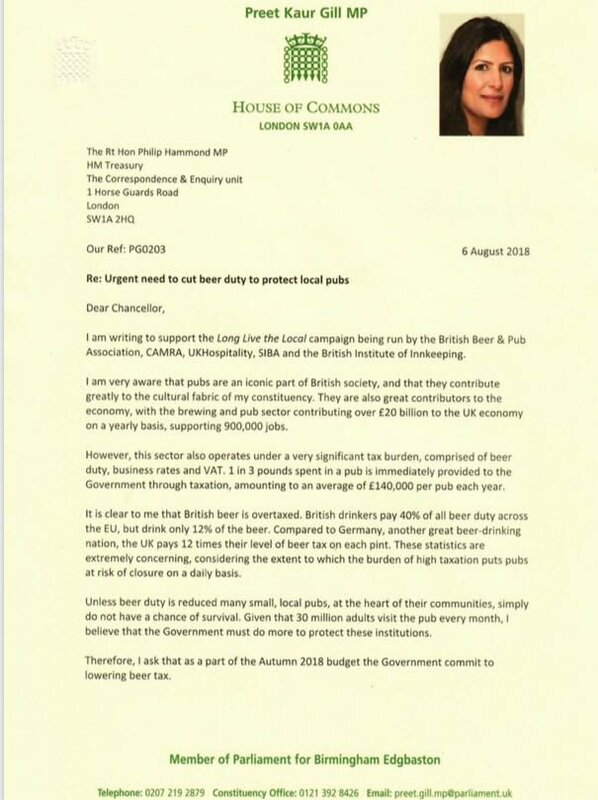 In her letter, Preet said, "Unless beer duty is reduced many small, local pubs, at the heart of their communities, simply do not have a chance of survival. Given that 30 million adults visit the pub every month, I believe that the Government must do more to protect these institutions."